If you’re someone who is technically savvy, you may use a proxy server for increased speed and security when browsing the web. If you’ve never heard of a proxy server on the other hand and are wondering what it is, a proxy server functions as an intermediary between a web browser and the internet and helps to increase performance by storing copies of frequently used webpages for faster access. Here we’ll take a look at the issues surround online casino play using proxy servers and answer some of the most frequently asked questions on these. Why can’t I play at an online casino using a Proxy Server? One of the main issues facing licensed and regulated online casinos operators is the legality of play in certain countries. In order to ensure that online gambling is offered only to players in countries where it is legal, they are required to identify the player’s point of origin which is done by IP tracking. Another reason that online casinos do not allow the use of proxy’s is that they generally only permit a single account per player or household. In order to control this, they again use IP tracking. If you’re planning to make a deposit at an online casino, play for real money and withdraw any winnings you’re lucky enough to make along the way, the answer to this question is no. If a casino picks up that you’re using a proxy, they can and will block you from playing in real-time if their software picks it up. Sometimes you will get past the initial security and be permitted to play, however each time you use a proxy it will use a different IP address, making it look like you are playing from multiple locations within your country or across the world, this will leave a record that casinos can follow up on later. And of course, every time you want to cash out, casino staff will examine your player account to ensure that you have not violated any terms and conditions to which you have agreed by playing at their property and can deny your withdrawal request if they pick up that you’ve used a proxy or played from multiple locations using your account. In the past, players who have only played practice games using a proxy and then played for real money without one have had withdrawals declined. So even if you get away with playing, it doesn’t mean you’ll get paid. A downloaded online casino running from your computer’s hard drive will not be able to tell if you use a proxy server for other online activities, however if you use a proxy when you access the casino and connect to the internet, you may end up being caught. 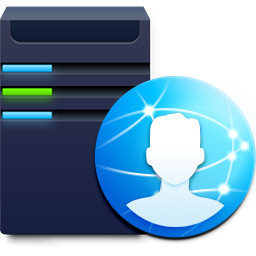 Proxy use will display as IP addresses from a variety of countries or cities appearing on the player’s account within a short time frame. But what if I play when I’m on holiday overseas or from a different device? If you fail to do so, then you run the risk that your activity may come into question at the time of withdrawal or your account may simply be locked citing proxy use. When it comes to their own licensing and regulation, honest online casinos need to be above board at every turn and so they will be strict in enforcing their terms and conditions, so always rather be safe than sorry ‐ be honest, keep the casinos informed if you’re changing devices or playing from a new location and if they aren’t helpful in accommodating you on this (although most should be) then rather don’t play until you’re sure everything is in order. There is nothing worse than having issues when trying to cashout a big win.